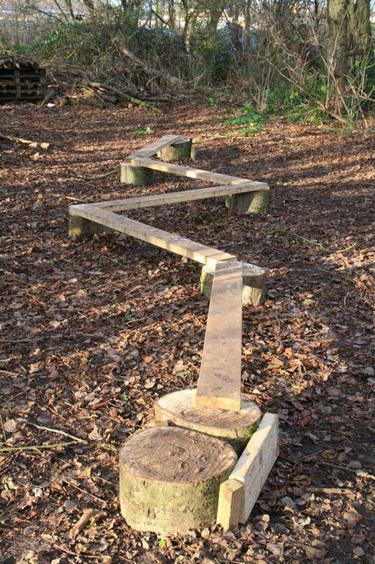 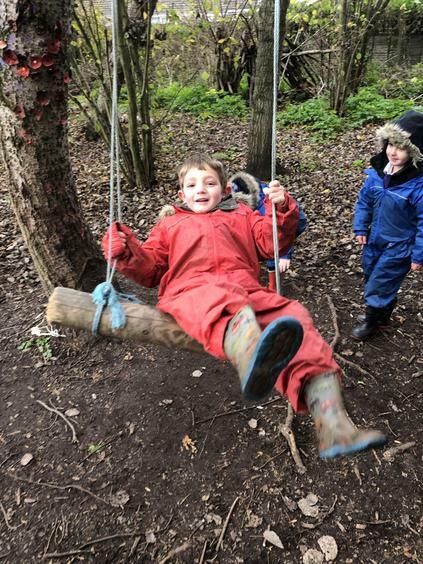 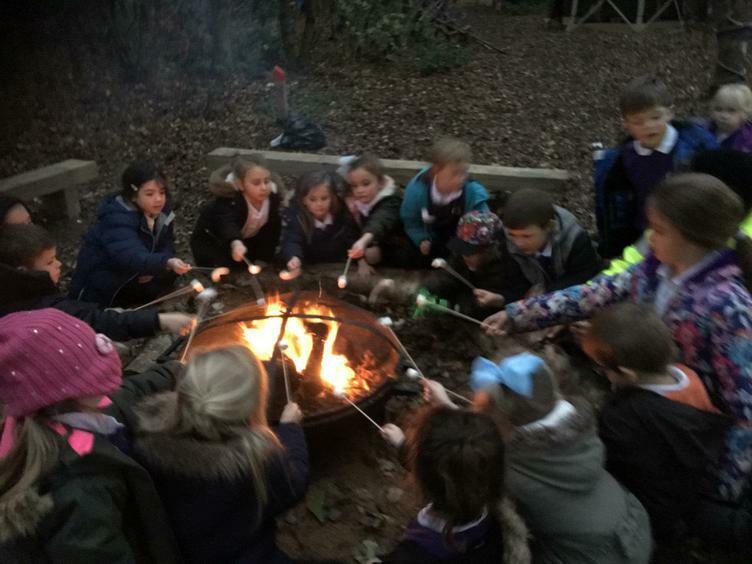 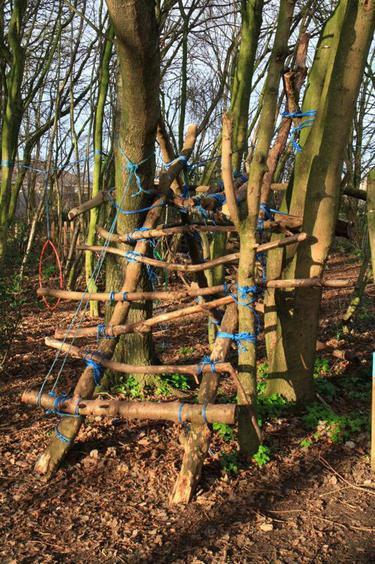 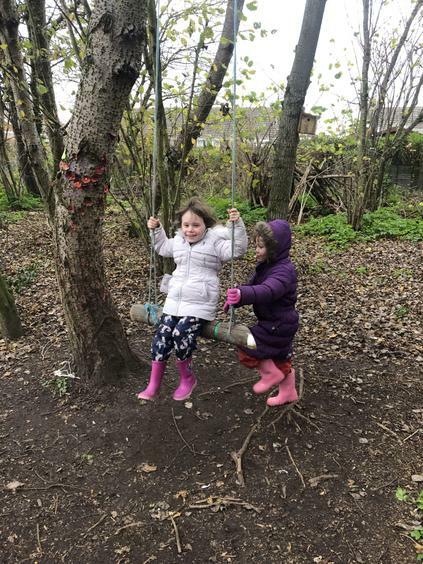 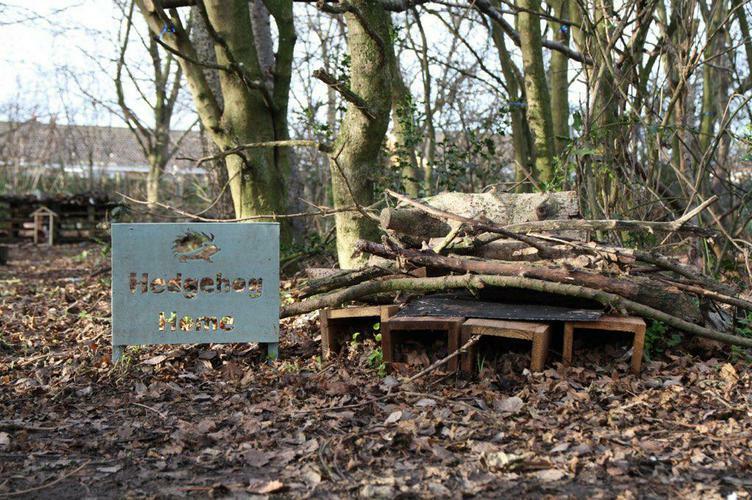 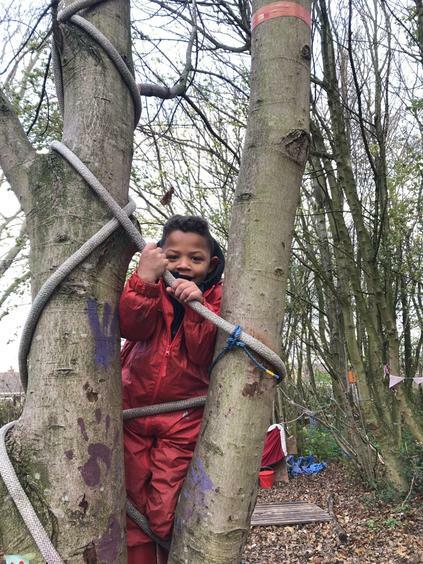 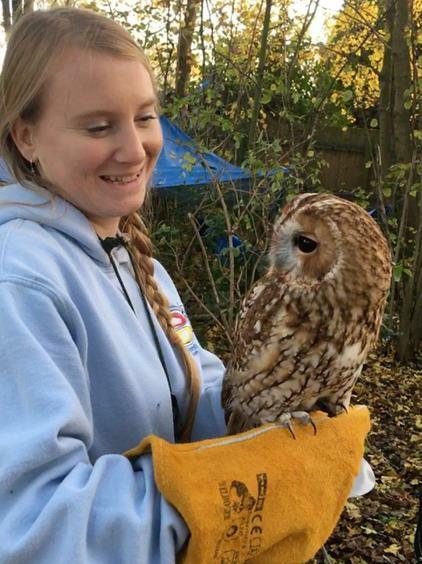 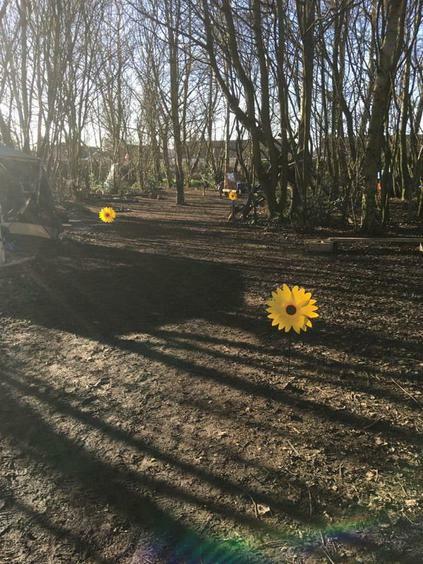 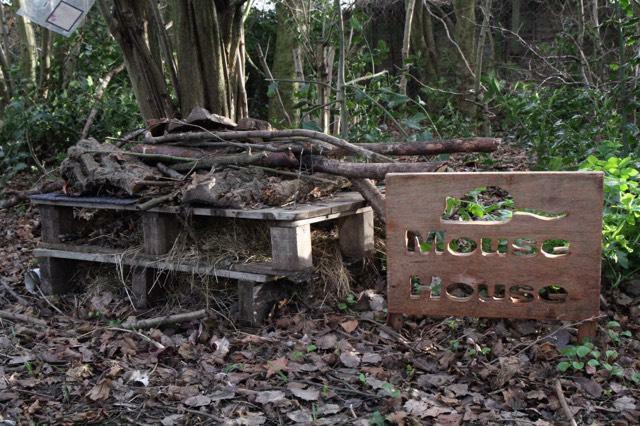 Woodland School is a child centred approach to outdoor learning using the woods at the bottom of our school field as a base. 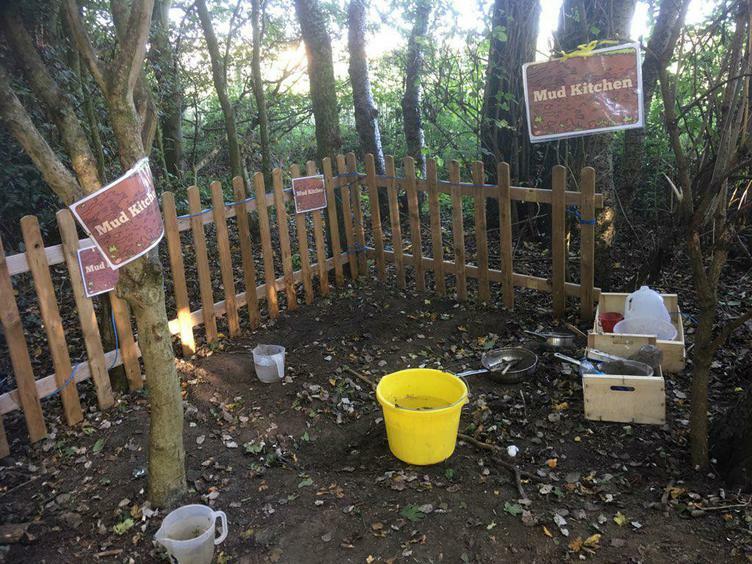 Each term, Mrs Moore (our Woodland School Lead Instructor) meets with Mrs Barnes to plan a series of lessons linked to the Science curriculum and incorporating, where appropriate, any links to each class' Topic lessons. 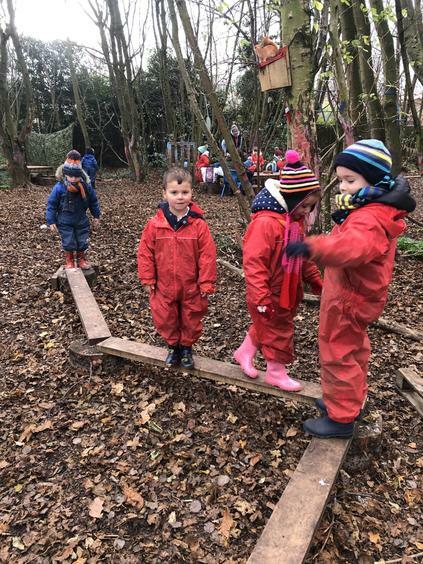 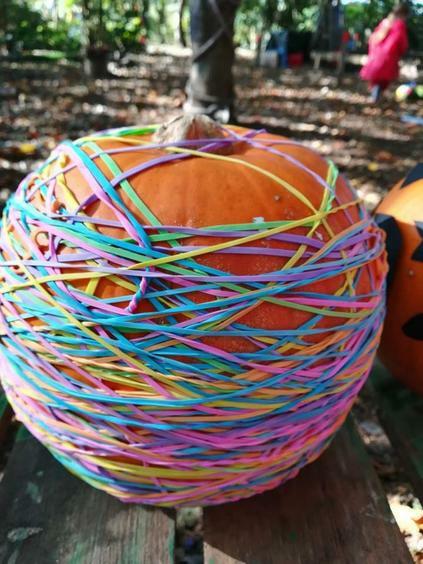 The activities planned are used as a guide for the structure of the session but the children may choose to take activities in a different direction. 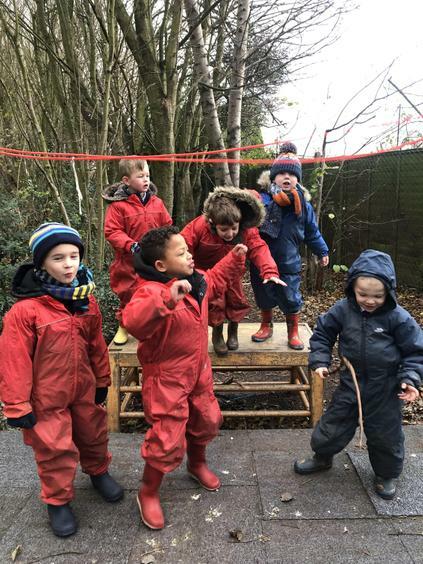 Mrs Moore, and her team of Instructors, may adapt lesson plans in the moment to develop the children’s interests in the most appropriate way. 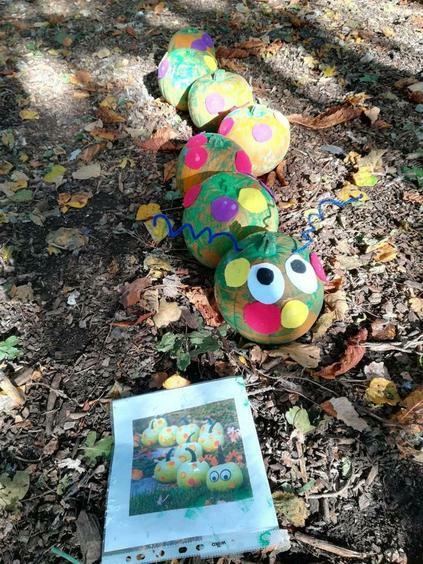 Observational notes and photographs are taken during each session to document the outcomes in learning and these are recorded in class scrapbooks which are on display in classrooms. 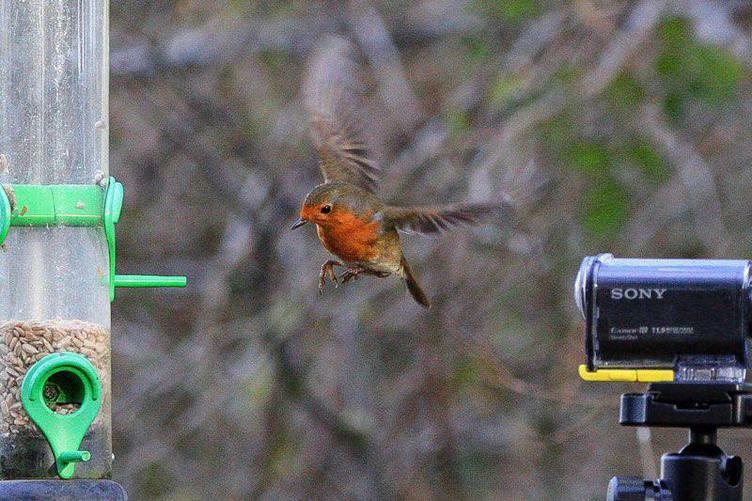 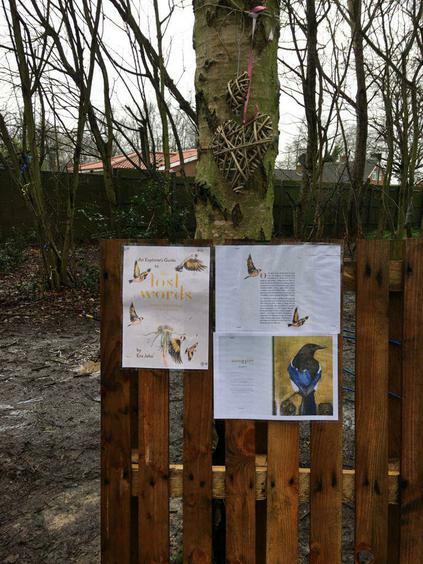 Each session ends with a spell from the book ‘The Lost Words’ which is a collection of words relating to nature which are believed to be disappearing from the English Language. 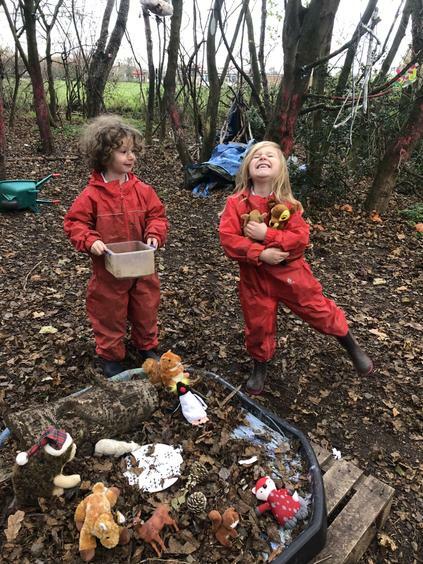 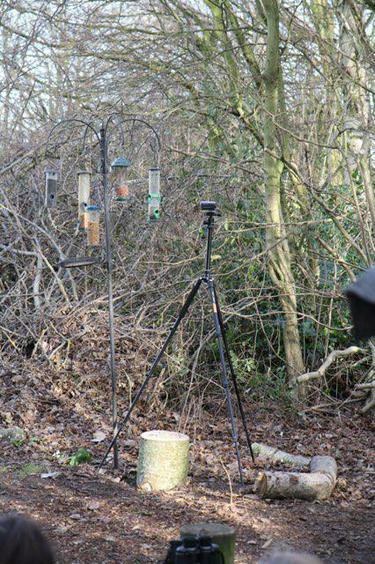 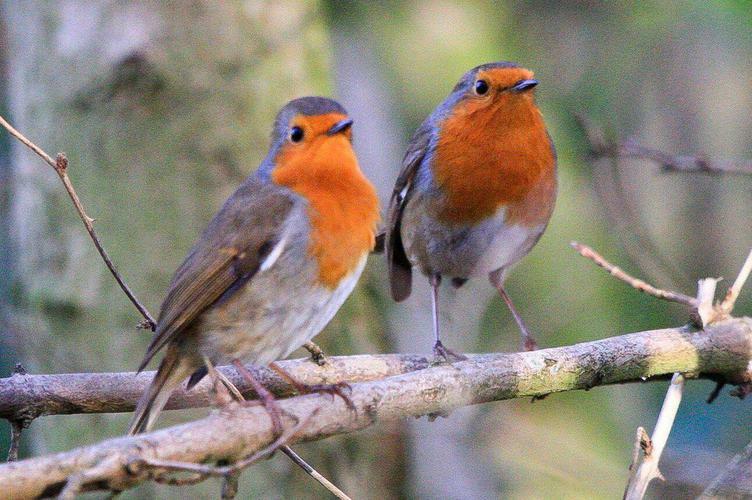 We have pledged that all Westwood children will not only be able to identify each of these animals, plants and birds but also share information about them. 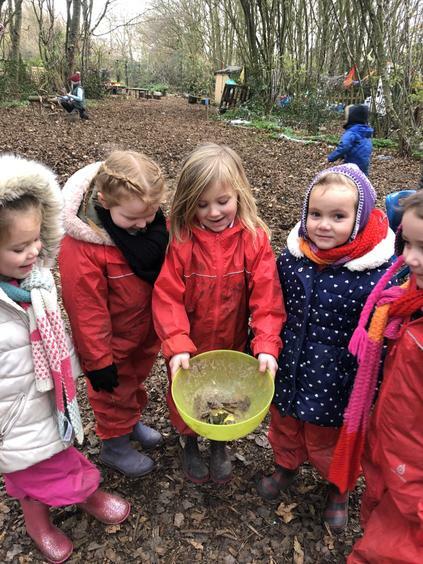 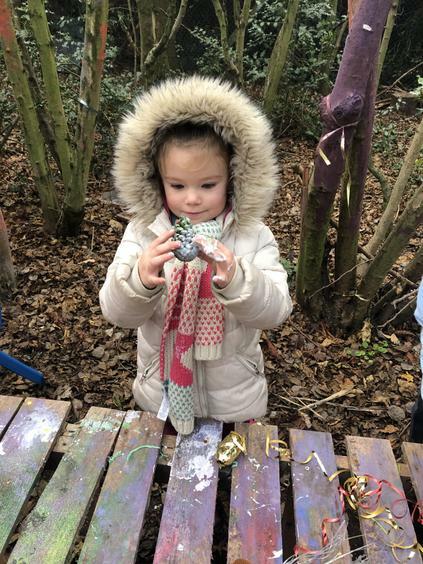 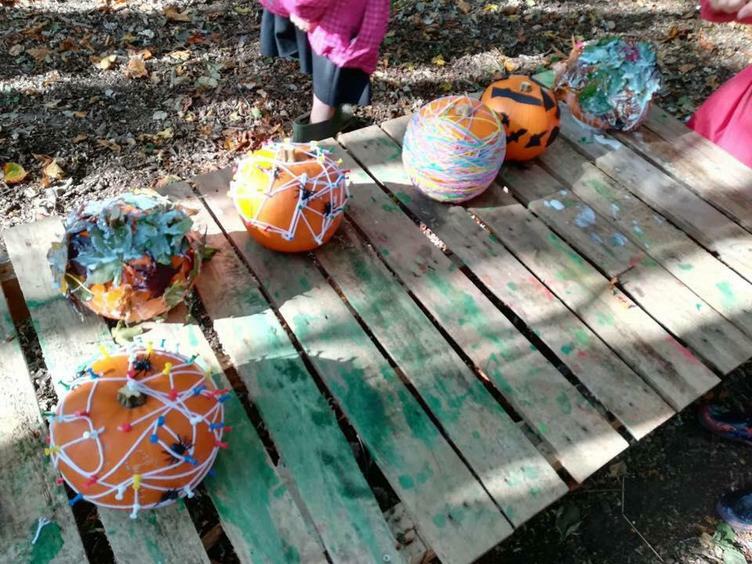 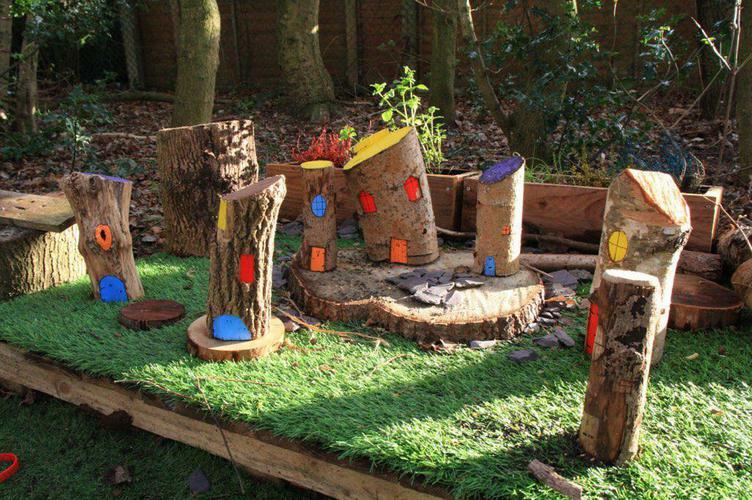 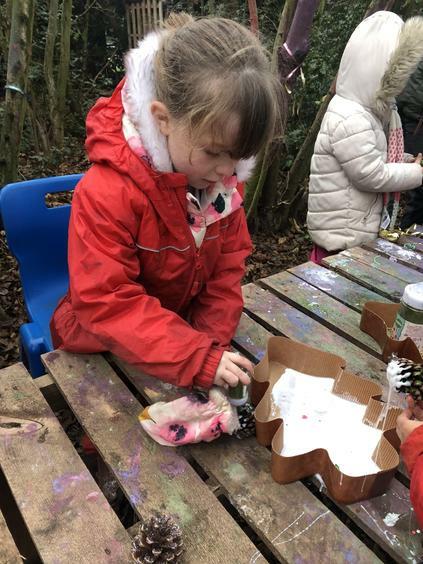 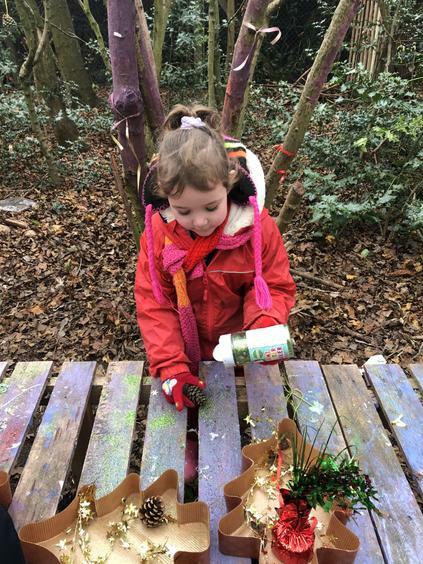 Families are invited to join their children for Woodland School sessions during the year where they work and explore together.